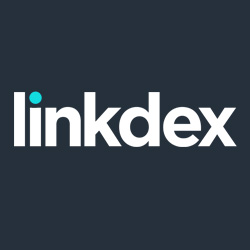 Last year I was asked to keynote a Linkdex Thinktank in London, on the future of travel marketing. Specifically I looked at what we’re doing as an industry in SEO, Social Media & how that applies to travel marketing on the internet. Its not only relevant to travel of course, the DNA of the presentation can be applied to any vertical. There is a great deal of momentum in the travel industry at the moment and this is largely due to the new initiatives Google are imposing on the search landscape. Projects such Google Hotel Finder have been introduced and are interfering with the meta search environment, with brands such as Kayak or Trivago and other price comparison sites for travel. Other significant moves by Google include their Transit Trip Planner, which has been kept very quiet, but has the potential to radically change the way that consumers are searching for their travel itineraries online. In some ways these initiatives are fantastic for consumers because they provide a single location for them to find prices for flights, hotels, and other products, whilst also planning out their holiday itineraries. It also means that they represent, potentially, a genuine disruption to the composition of the industry as it is at the moment. We Are Reaching A Situation Where Google Are Potentially Breaking An Impasse With The Travel Industry, Wherein They Further Encroach On The Travel Industry’s Ability To Market Themselves. It could eventually fulfil a substantial gap in the Google’s data sphere of influence, one that they have not had access to in the past. Frankly, it will also make a large difference to the people currently operating in the space because it will soon become difficult for other meta search partners to compete with the scaling power of Google, being the natural first port of call for anybody planning a travel trip. At the moment, even when using a travel price comparison site or meta search partner, they generally do so having visited Google first. Approximately 50% of all of the bookings in the consumer journey start at Google. When you consider that is likely also to be true for other segments of the market such as meta search, or direct bookings, we can reasonably state that Google already have something of a monopoly in Europe. It’s entirely possible now that Google will carry on encroaching downstream into their affiliates, and potential pick them off one by one depending on which models are the most viable for them. For businesses without the scaling ability that Google possess, without the ability to process information like Google can, it will become extremely difficult to compete. At the moment they haven’t fully committed to changing the travel market, but in the event that they do (and there is still an ‘if’ as to their intentions), it will be extremely hard to compete with Google simply because they are the default destination for all web traffic. Traditionally, there have always been casualties in the travel market and this will continue to be true. If you look at the travel websites that existed 5 or 10 years ago in comparison to the travel websites that exist now, it’s possible to see that there has been a certain cannibalisation of the market. Smaller businesses have been acquired by larger key players, and certain brands, having fallen foul of Google’s updates were put into positions where they were no longer able to compete. Some have been priced out of the Adwords arena, and others perhaps relied too heavily on duplicate content which has been and continues to be a major problem in travel. When Google’s Panda update was rolled two years ago, certain businesses were, essentially, annihilated for using duplicate content. This included businesses that previously had been turning over tens of millions of dollars per year. However, because they didn’t fit with Google’s objective of having unique answers in the result set they were brushed out of the way, and of out of competitiveness. There is a great need in the industry to educate businesses, to help them understand the digital landscape, and prepare for the future. The problem in the industry at the moment, is that when you say to a company: “the reason your business is suffering is because you’re using duplicate content, which you have managed to make a business out of for the last decade, but you now need to stop doing that and instead write unique content for 100,000 hotels…”, it’s a very difficult pill for them to swallow. The primary challenge brands have at the moment is to devise a means of producing content, engaging content, that is unique enough for them to carry on ranking, and of sufficient quality to encourage consumers to convert. One of the big barriers to achieving this is that for too long the industry has revolved around a model that looks to expend the minimum amount of effort and expenditure possible in order to create a website that is ROI positive. It’s not unique to the travel industry, it’s endemic to every major industry with websites that scale – marketers always looked at the minimum amount of investment needed on a per page basis to attract traffic. Ultimately, the services travel companies offer have to come down to what is best for the consumer. A consumer visiting a travel website or indeed any other website, is looking to find information about the product that are interested in, to experience content, and to end up feeling reassured enough to be in a position to convert on a companies website. This is in line with Google’s vision, and for travel companies it means, in real terms, that they need to invest $10-20 on each page to fulfil that content. There are other options available, such as sourcing user generated content or reviews, but the changes and investment will need to be made. In providing an exceptional consumer experience, customers build loyalty with a brand and may return year after year to book a holiday – that is a concept that the travel industry as a whole has undervalued for a long time. As customers become more demanding in their expectations, businesses may find increasing traction serving a specific niche. One of the companies doing a fantastic job at the moment is bringfido.com which is dedicated to hotels and holiday destinations that are dog friendly. Another good example is hipmunk.com who do a fantastic job with presentation and site features, and have as a result built a very devoted following that loves their brand and their site. The businesses making the biggest gains over the last few years are the ones that have consistently been producing high quality content covering thousands of destinations. A great example of a site which is going from strength to strength is Lonely Planet. Most people know Lonely Planet as the publishers of fantastic guide books, and they also have a website, with a travellers forum community, and a huge amount of content and reviews about destinations and hotels. That is the kind of website that Google is looking to service, and in comparison to a typical hotel affiliate site, the level and the quality of the content is infinitely higher. Their content is generated and developed socially, and this has provided it with the scale and relevance for it to resonate with users. Another good example of a company that is getting it right is despegar.com who operate in Latin America. One of the things that despegar has done incredibly well is cultivating a social media presence, specifically around Facebook. There is a misunderstanding in the industry that success in social media can be built similarly to success in search, but they are two very, very different fields. For instance, you cannot realistically expect a large investment in social media advertising to make an instant and immediate impact. The companies are doing well in social media have been building a presence for many years. Travel is a market where social recommendations are extremely important. As people are increasingly using social media to interact with friends, over the next decade it’s going to prove to be incredibly valuable for travel brands to establish social media presence. Similarly, reviews are extremely influential from a social perspective. Hotels can experience a huge uplift by including TripAdvisor reviews on a web page. Websites that do not include TripAdvisor integration are at a significant a disadvantage. Nowadays, every brand out there, no matter how big or small should be actively working to build a community with their customers, encouraging them to leave reviews or otherwise interact online with the hotel, rental property, destination, or event that they are experiencing. Understanding exactly who your core audience is and how to market to them is something that is increasingly important. However this is not the case. For example, two sites can extensively offer the same service, yet one has developed selling principally to 18 to 35-year-olds and another is most successful targeting the over 50s. They may not be aware that they’re targeting by the way that they’ve arranged messaging on their site, but analysis can suggest otherwise. Cohort analysis is something that’s very important for brands to be conducting right now, as it helps to determine who exactly a brand’s audience is. Personalisation within the travel industry is going to be one of the big topics in 2014 and 2015. As of yet, the travel industry has not fully utilised the potential of delivering personalised results to people depending on who they are. The first company to properly engage in this has been TripAdvisor who have done fantastic job of social media integration. What we’re starting to see more of now is retail travel sites tailoring the experience for individual visitors. For a market as diverse as travel it brings its own challenges and as a result many are still not in a position to deliver a high level of personalisation. However, we do know through having seen the difference it has made to Expedia partners that there is a huge uplift to be had in personalisation. Ultimately, we should be in a situation, where everybody looking every website is seeing an experience which is tailored to them. That may be a utopian view, looking perhaps 5 or 10 years up in the future. But it’s one of these things that unless you start to gather the data now, you’re going to really struggle against the people that are already gathering the data, who will be ready to implement this in the next couple of years. Analysing big data is difficult, but the fact that it is difficult means there is huge amount of opportunity there, because not very many people are going to be engaging in it. It’s something which is increasingly going to be integral to the conversion rate of the products that we sell and it’s a very difficult to get smaller players to invest the energy, and investment into building a data warehouse that is capable of analysing this kind of information. It’s not something that is widely practiced this point in time but those who want to get ahead of the curve in travel marketing are looking into personalisation right now. Lack of integration in organisational structures The digital marketing industry is new. It’s been around for less than 20 years and everybody is learning, even the owners of the ecosystem themselves such as Google, Bing, Facebook or Twitter. Even the ecosystem owners are learning, so it is unreasonable to expect the business structures within travel brands to be working frictionlessly at this point in time. With the changes that have happened in paid search and organic search over the last 3 or 4 years, it’s become clear that all of the different disciplines need to work closer together. The increased integration of social media into search engine results has ensured that SEO and social media need to work hand in hand. It’s impossible to construct an evenhanded message that reinforces a brand across all of those platforms if the different channels are not working together hand in hand. A brand may wish to use a specialist agency for TV, and a specialist agency for search, but they need to maintain control over the brand messaging that goes out, over each one of those verticals within marketing. Because if you’re providing a disjointed message to the general public, five or ten years into the future it’s going to put you at a disadvantage compared to those that have got really holistic messaging across all platforms. Ultimately it has to be the responsibility of the brand owner, not the individual agencies, to enforce this cohesion between all of their different marketing efforts. For a CMO who has been working in marketing for one or two decades, it’s unrealistic to expect that they have a full understanding of all of the disparate parts of digital marketing. Times have changed, and are changing fast. Over the next ten years we are going to to see a new generation of CMO’s who have graduated from online marketing rather than off-line. One of the things that will change is an understanding throughout digital industries, of a fully holistic view of the marketing efforts that a company practices. At the moment, far too many companies consider SEO, or PPC, or social media, as different things. Branding is something which has to be constant. Implementing tactics rather than strategies is a shortsighted view, and it’s something that will probably get backwards looking CMO’s fired over the next decade. It’s remarkably important to take an overall view and look at all the different elements together. Brands need to start taking control of all the forms of messaging that their company engages in. This messaging goes beyond marketing, it also extends to customer services and even areas beyond that. If the brand’s customer service department are not aware of the holistic objectives and messages of the brand consist of, then you’re missing out on an opportunity. Brand’s need to take an overall look of the marketplace, encourage customers to communicate with the brand, and tailor the brand message across every single medium. Google, who have traditionally distanced themselves from travel industry verticals, are now encroaching on the market in a number of areas. Travel brands need to prepare and get ahead of the curve to meet competition from the search giant. Travel brands need to dramatically improve their content offering in order to remain relevant after recent changes to the search engine algorithm. Communicating a holistic brand message, consistently across all channels is now very important to a brand’s long term prospects. Brand’s need to restructure, and integrate internal practices accordingly. Personalisation is going to be one of the big topics in the travel industry in 2014. Brands need to incentivise their traffic to create site accounts, or connect via social media, so they can collect the data necessary to empower personalised experiences, if not now, then at a future date.